Minerals are the most important contructors of our cells. A deficiency of minerals int he body can cause certain diseases, but by re-introducing the lacking elements back into the diet at the correct time, normal cell function and health can be restored. What would you prefer? To live your life in good health or poor health? Being haunted permanently one of the antibiotics ("against-life" medicine) or regardless of your age, being fit and healthy. The choice is in your hands! Choose Health! Another mineral element of bones, teeth, brain, nerves, blood and muscle cells. 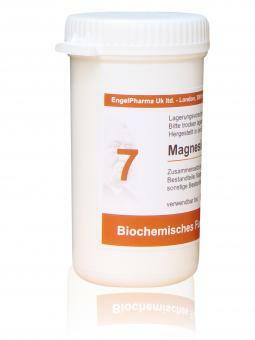 Magnesium phosphoricum is beneficial for the treatment of muscular cramps, spasms and minor nerve problems. It is the main remedy for complaints of a spasmodic nature, such as in colic, menstruation cramps, palpitations, spasmodic cough, toothache, neuralgia and acute pains in general. It is an important remedy for babys colic, as its beneficial in many cases exhaustion due to emotional upset. This salt quickly relieves muscular twitches, hiccups and sharp twinges of pain. Symptoms are usually worse from cold and touch, and better for heat, pressure or bending double. Take frequently until relief is obtained. 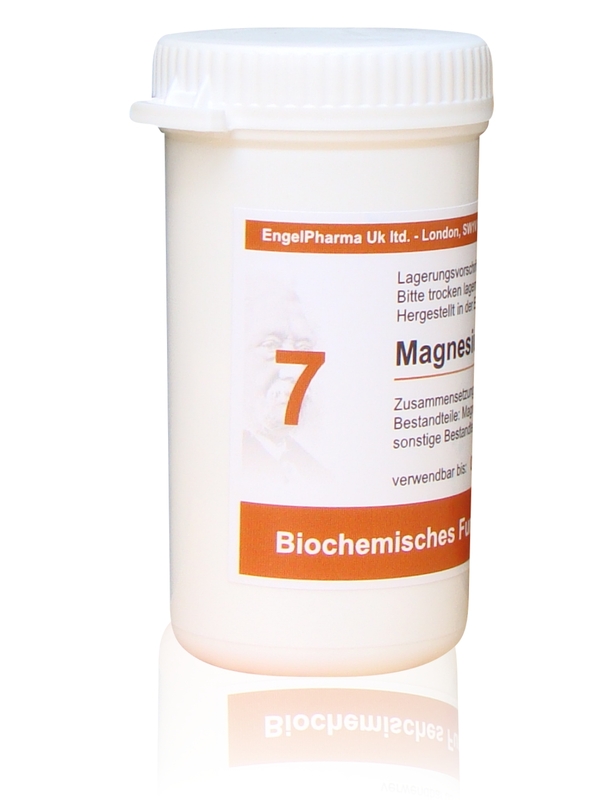 Magnesium Phosphate is contained in muscles, blood cells and nerves, brain and spinal marrow and in bones and teeth. Its deficiency results in convulsions of all kind such as convulsions of the heart, stomach, urinary bladder, calves and so forth and it causes sshooting pain as well as changing and wandering pains. Furthermore, it is administered in cases of gastro intestinal colics and colics of the gallbladder and kidneys. Supplements should not be regarded as a substitute for a varied diet or healthy lifestyle.